A full treatment program for arthritis in cats has many aspects. Anti-inflammatory and pain-relieving drugs are a part of a full protocol. Aspirin is generally considered toxic to cats, but it can be used in small, non-daily doses under the supervision of a veterinarian. Even the use of a buffered aspirin product needs veterinary supervision. The proper dose of aspirin for a cat is 10mg/kg once every 72 hours. A typical aspirin tablet is 324 mg and a baby aspirin is 81 mg. So you cannot give a tablet designed for human use to a cat without modification. Cats lack a liver enzyme to break down aspirin, so you should always give the medicine with food. A single dose will affect the cat for up to 72 hours. Cats that are on any other medicine for arthritis, such as a glucocorticoid (prednisone) or a cat-safe non-steroidal anti-inflammatory drug (NSAIDS) should not be given aspirin. Ask your veterinarian how long to wait before changing a cat's medicine. 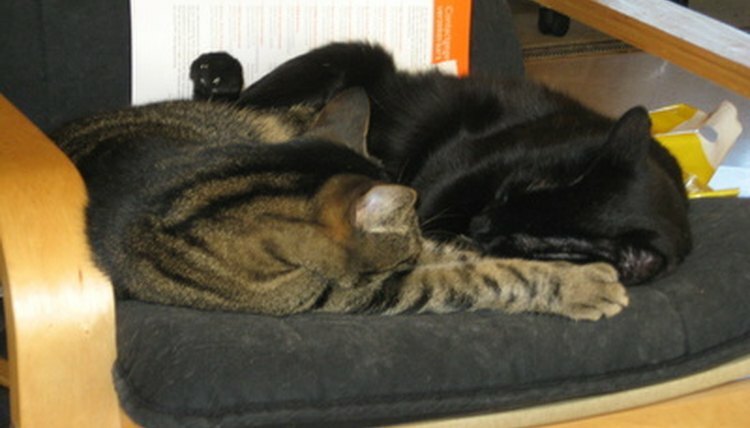 Veterinarians are cautious in suggesting aspirin for cats. Many alternative treatments are available. Aspirin has benefit as a pain reliever for felines, but newer medicines are preferred because they reduce the protaglandins which contribute to inflammation while not inhibiting the prostaglandins which help with circulation for the kidneys and intestines. Aspirin inhibits both types of prostaglandins. One such newer drug for cats is Meloxicam, which is safe for use over a long time period. Cats should undergo tests for any kidney or liver problems before beginning an aspirin or NSAID regimen. A medical supervision plan of retesting every six months is important. Medication is only one part of the total care of cats with arthritis. Keeping the cat active is important as well. Some cats respond well to warmth and gentle massage. Cats will absorb fish oils as a source of beneficial omega-3 in their diets. A combination of these strategies is the best course of treatment for your cat.